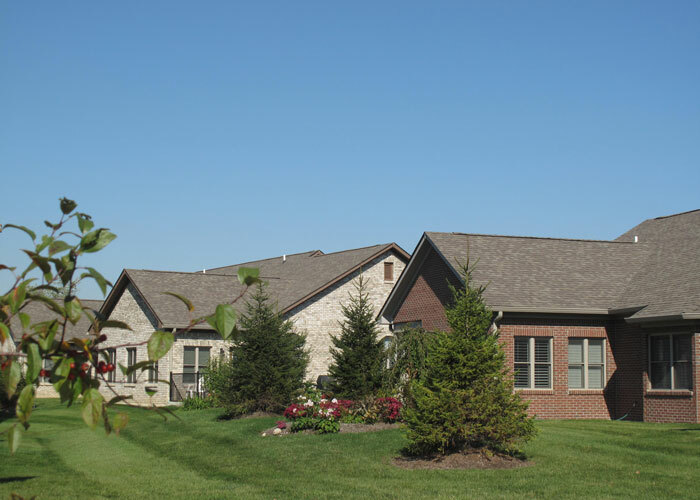 The Woodside neighborhood at Hoosier Village consists of large, spacious cottage homes with numerous options and variations in floor plans. 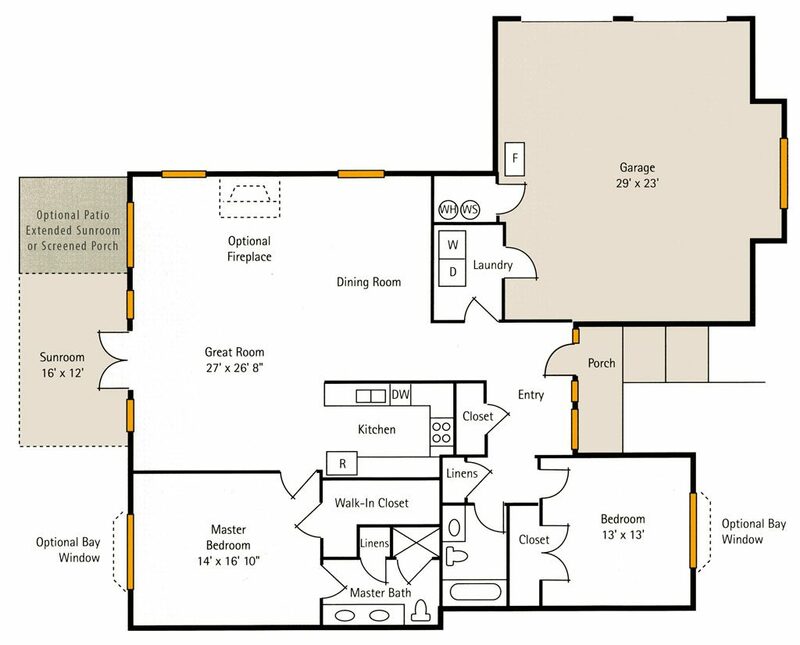 Each cottage features cathedral ceilings throughout, versatile great room with Palladium windows, two bedrooms, two full baths and full kitchen with a side-by-side refrigerator. 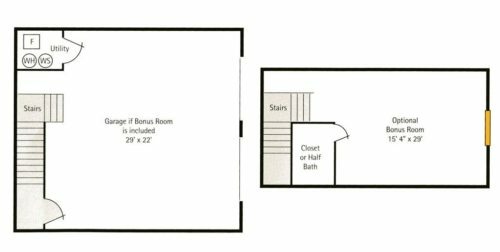 Other features include full-size washers and dryers, all-seasons sunrooms, oversized attached two-car garages with shelving and lawn irrigation systems. 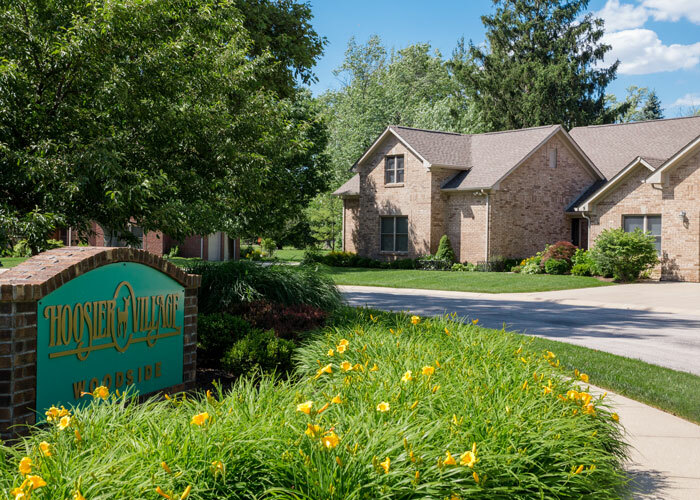 Naturally, like all residences at Hoosier Village, Woodside cottages are maintenance-free, which means we take care of upkeep, repairs, landscaping and snow removal. 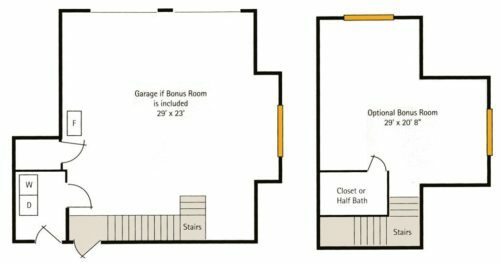 There are a number of variations which may include options such as a bonus room over the garage, gas-log fireplace, bay windows in the bedrooms, expanded sun room, and/or a screened porch . 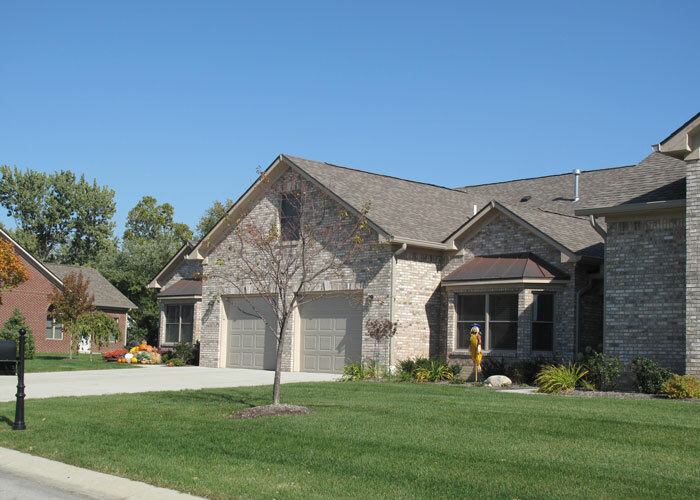 . . without the hassles of home maintenance. 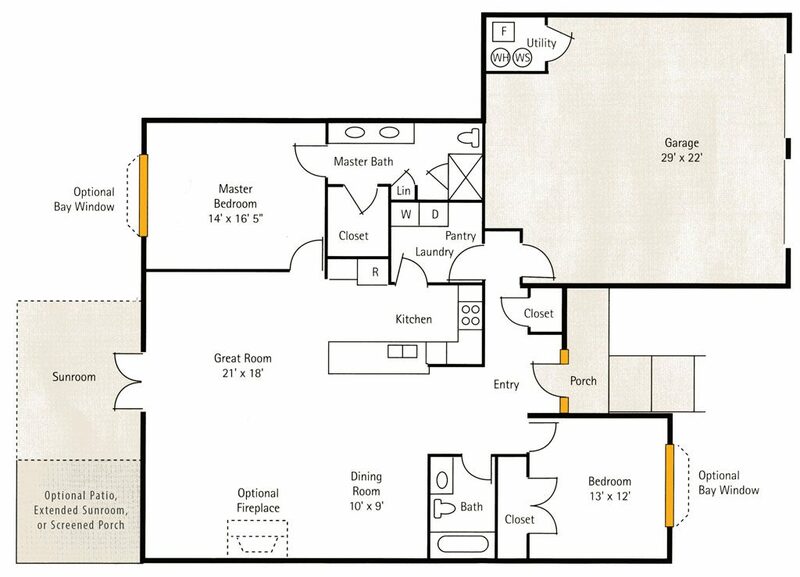 For more floor plans, contact one of our friendly marketing representatives at 317-873-3349.